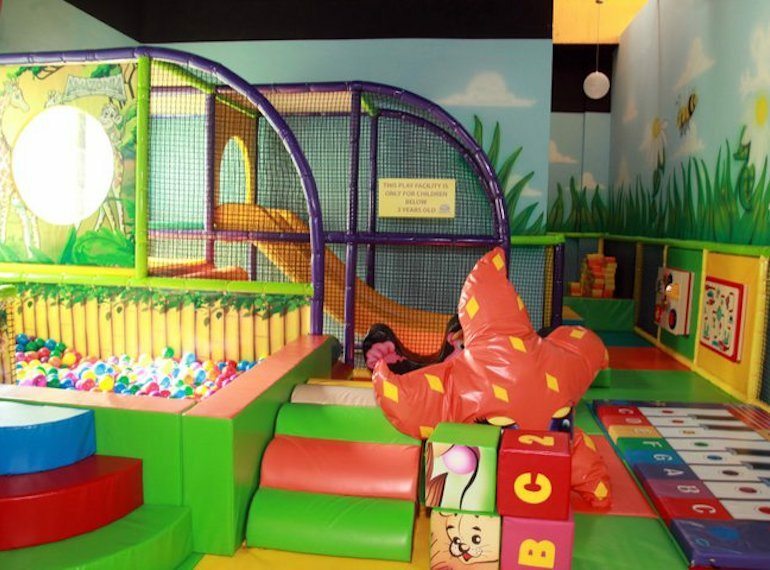 Padded, cosy and teeming with charming toys, these soft play areas are the perfect way to keep bubba busy. Babies and young toddlers will love hanging out at the Toddler Zone. 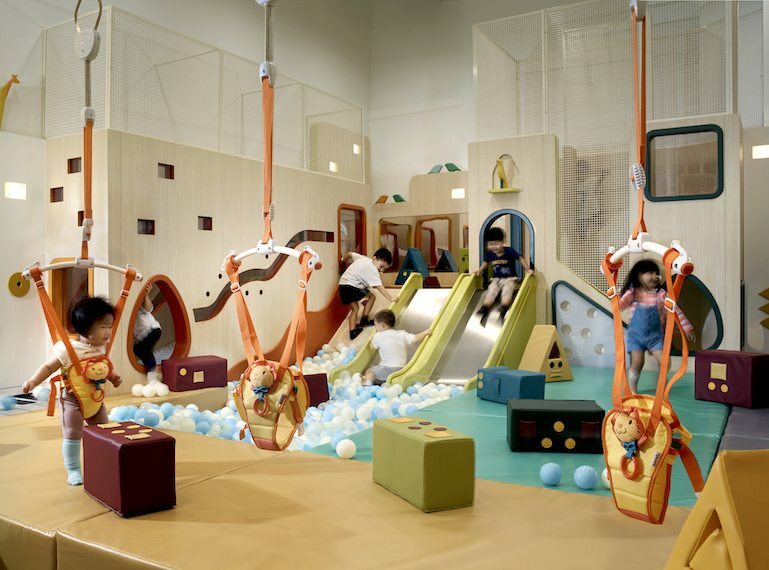 If you’ve checked out our full review of Buds by Shangri-la, you’ll know we’re definitely excited about this mother of all indoor playgrounds at the Shangri-La. Buds has got something for every age, including a toddler zone for kids aged four years and below. Equipped with a ball pit, piano floor, interactive wall buttons and all sorts of playground equipment, including harnesses for bouncing babies, Buds is our new best buddy when it comes to a paradise for tiny humans. 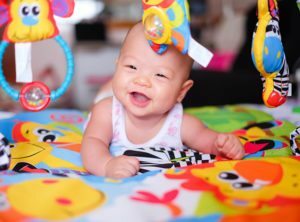 While the older kids are busy scrambling through the playground or glued to console games, you can spend some time with the baby at the soft play area. 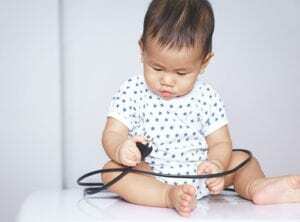 Babies can climb up soft ramps, cross a plastic bridge and be kept entertained with plenty of toys. There’s even an alphabet mat for you to start the kiddo early on in literacy. This padded playground at Amazonia Fun is perfect for tots and babies. Amazonia Fun has a Toddler Play area for kids zero to three years. This soft play area is fully padded, equipped with interactive play panels and has a rather cool musical keyboard for budding musicians to ‘compose’ on. There’s also a ball pit and a mini slide for the tots and soft seesaws for you to rock on along with your child. Perks: Spend $10 at the cafe (coffee, coffee, coffee…) and the next two hours of play for baby is on the house! Spanning a whopping 12,700 square feet, Kids Amaze has a massive jungle gym for bigger kids but that doesn’t mean the toddlers and babies are left out. The Playhouse is specially made for babies two to 36 months old. 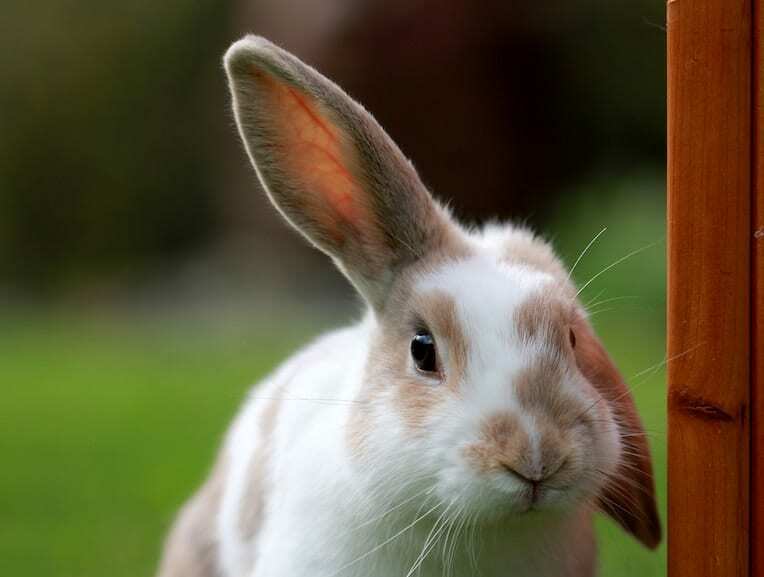 There’s a woodlands themed soft play area for toddlers while the babies can crawl along foam mats in the adjacent area and before diving into a mini ball pit. 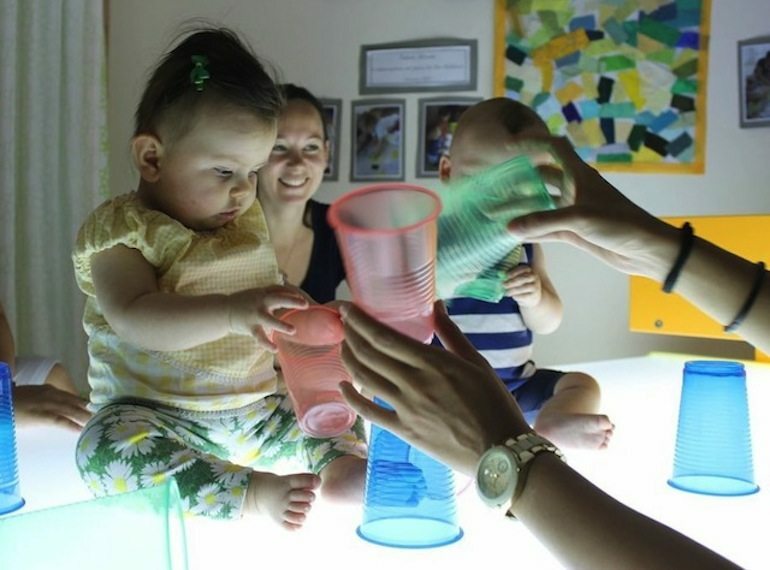 Join a playgroups or drop-in session at Blue House Infant Atelier for some fun with the bub. We just can’t get enough of Blue House, not just for its stellar Preschool and Nursery programme, but also for its playgroup and drop-in sessions for kids six months to three years old. 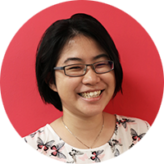 It holds weekly classes for kids at different ages and stages, plus brunch or tea sessions for parents at the onsite pantry. 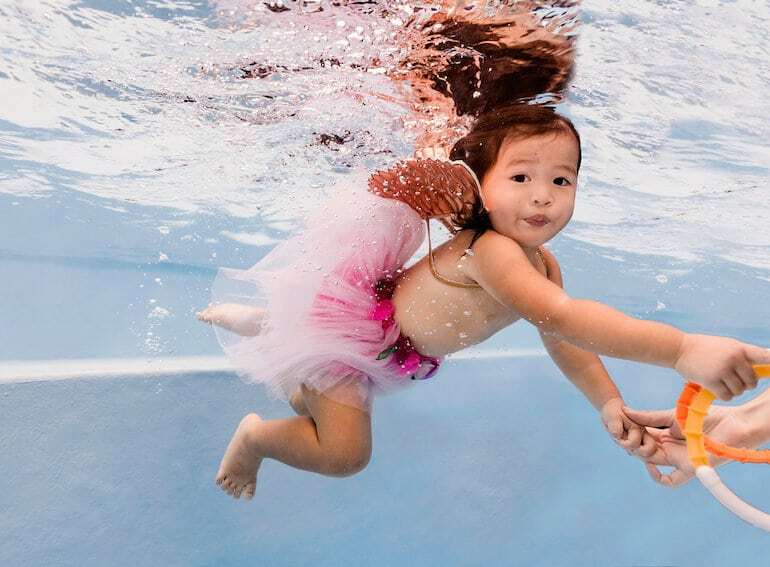 You’ll probably find yourself signing up to one of the parent-accompanied classes like Exploring Music and Creativity, or the Daddy and Me class. Blue House also organises various playgroup series. Developed in conjunction with the National Arts Council, The ArtGround is the place to be for immersive arts and cultural experiences for kids. Kitted out with regular arts installations by professional artists, kids get to discover the fun in art. But they’re not the only ones. There’s a soft play Baby Stage space made up of a low-rise curving ramp for little crawlers. Entrance to this area is free by the way! There’s also a baby care room with a nursing chair, changing table and a parking point for strollers. Keep an eye out for baby classes, such as the upcoming Baby Space multi-sensory installation for pre-walking babies. If you’re in Dempsey Hill, take a breather at Go-Go Bambini. Head to the café for a cuppa, then hop on over to the Toddler Area where little ones three years and below can explore and play in the mini ball pit (air-conditioned bliss!). There is also free wifi, a parent’s library and of course, a nursing and diaper changing room. However, it’s strictly a pram-free zone so bring the baby carrier if you need to! When the kids have had their fun, there’s plenty of kid-friendly cafés in the area for you to grab a bite. 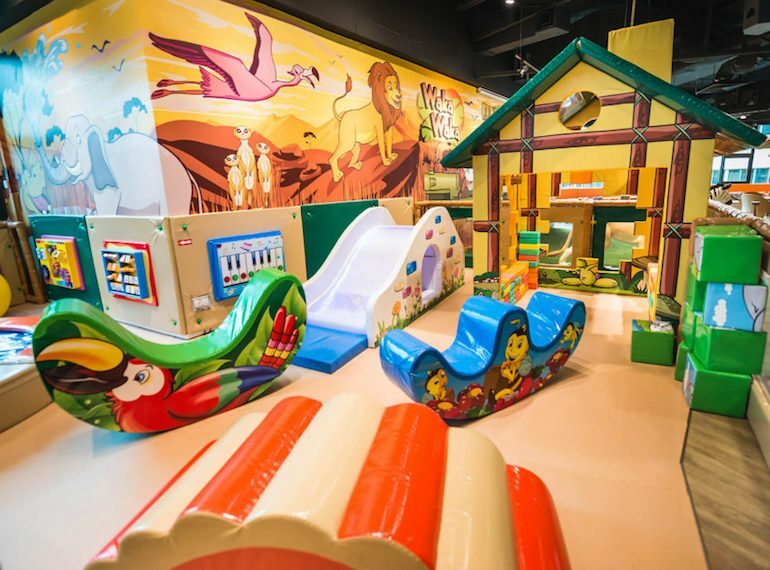 There’s plenty of toddler-sized fun to be had here at Waka Waka! While older kids go crazy over the massive safari-themed playground at Waka Waka, tots will have plenty to keep themselves busy with as well. At the toddler zone, little ones can have their pick of any toy they want, while exploring interactive wall panels and mastering their motor skills on a mini slide, and padded seesaws and a soft bouncing pad, before stacking lightweight blocks. If that’s not enough, there’s also a toddlers-only bouncy castle that’s sure to be a hit! Any Pororo fans in the house? Then a trip down to Pororo Park is a must! 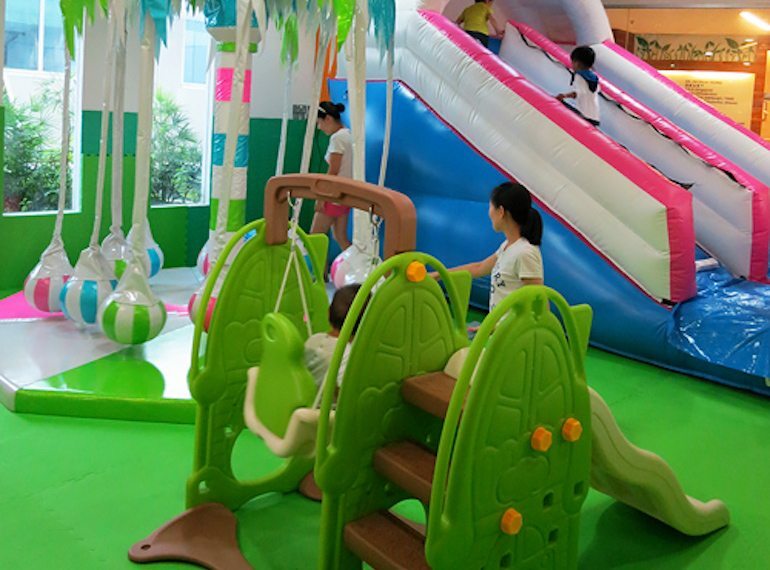 Little ones will go gaga over the dedicated soft play area at Crong’s Backyard, which is teeming with toddler-sized playground equipment such as swings, slides and plenty of toys. They can also explore the character-themed pretend play areas over at Petty’s Supermarket and Pororo’s House. The Shark Ball pit and Pororo Express train ride will definitely be a hit with the kids, young and old too. The best part? Entry is free for babies under one year! Check out the ball-swings at Petite Park. This colourful little indoor playground is a wonderland for tots and babies who will have a blast using their imaginations with kitchen sets and other toys, before hopping on the mini merry go round for a spin. There’s also a toddler-sized ball pit, small slides, inflatable playground equipment and padded ball swings suitable for babies. 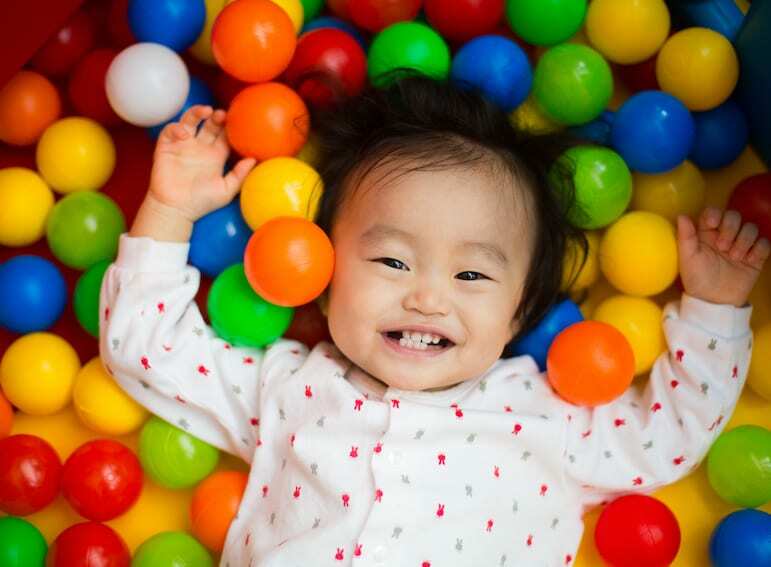 For sensory play galore and adult-accompanied playgroups, Little Tykes is a great hangout for babies and tots aged eight months to 3.5 years old. Dive into this Reggio-Emilia-inspired space with its enchanted teepee, sensational sandpit, mini herb garden, and musical wall. We’re in love with the Ocean Snoezelen sensory room, packed with bubble tubes, glowing fibre-optic blankets and an infinity portal – perfect for naps! 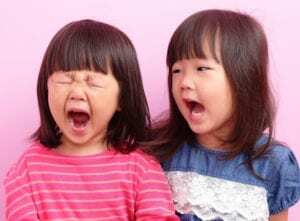 Tucked away on the third floor of Clarke Quay Central, Joy of Toys certainly lives up to its name to bring the joy of open-ended play to toddlers and babies. You won’t find any huge slides or bouncy castles in this indoor playroom but there’s a huge range of playthings from wooden developmental toys to family games. 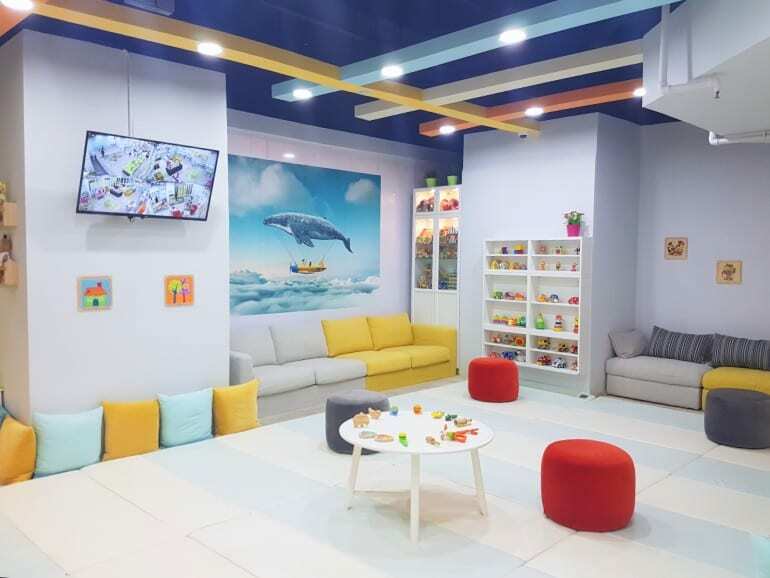 Fitted instead with plenty of comfy couches to put your feet up while the kiddos potter around, the space resembles a huge living room where you can escape the fast-pace city life and just let the kids discover the Joy of Toys.